Punto Banco, also known as Baccarat is a card game where players bet on the cards being dealt. Only two of the possible 12 players are dealt cards each hand, while other players try to determine which of the two active players will have a hand that totals nine points. Banco can be played with a minimum of two players and a maximum of 12 players. In addition to the players, one dealer is needed to distribute cards and place bets. Eight decks of standard playing cards are combined together to form the Banco deck. Each card is given a value, with two through nine having the point value listed on the card. Face and 10 cards have a value of zero and Aces have a value of one point. The object of Banco is to use between two and three cards to add up to a points value of nine. When adding up cards, the tens place is always dropped. For example, if you have a seven and eight, which combined become 15, drop the tens place to yield a five. Start with the player to the right of the dealer, who will become the Bank during the first hand. Each player places a starting bet on the table either for the Bank or for the Player as designated by two squares in front of each player. After the bet, the dealer passes out two cards to the Bank and the highest bidder at the table, known as the Player. The Player flips his cards over and slides them to the dealer, who will calculate the point total and then place the cards on the table. The Bank flips his cards and slides them to the dealer who calculates the total and places the cards near the Player's hand. 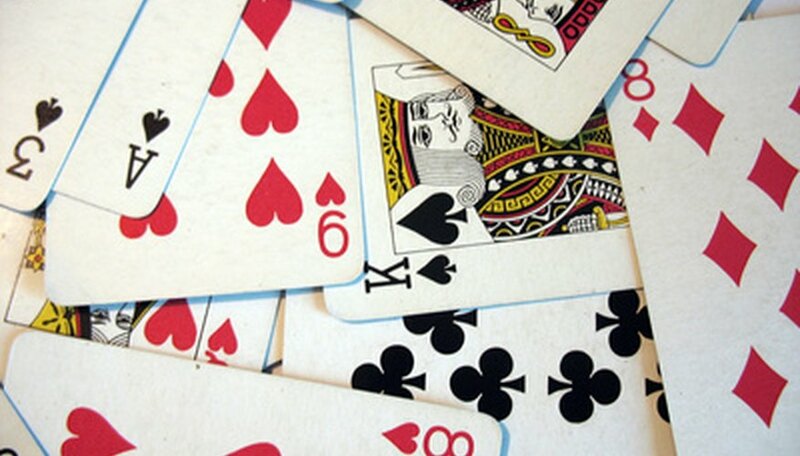 If the Player or Bank has either an eight or a nine, their hand is called a Natural. If only the Player has a Natural, he wins and the Bank must pay out all bets placed on the Player. If only the Bank has a Natural, the Bank wins all money bet on the Player while bets on the Bank are returned to the bidder. The Bank draws another card if the value of his two existing cards are between zero and three. Another card will also be drawn if the Bank total is four while the Player has a total between two and seven. Additionally, a Bank total of five and a Player total between four and seven requires a card to be dealt to the Bank. The Bank will also draw another card if his hand value is six and the Player has a value of six or seven after drawing a third card. If the Player has a six or seven and did not draw a third card, the Bank hand remains. The Bank stands with a value higher than seven. The highest point value is declared the winner, with payouts being delivered to the remaining bidding players. If both the Bank and the Player have the same point value on their cards, all bets are returned and the hand is dealt again. The player to the right of the Bank becomes the new Bank for the next hand.